Jeremy Crow was a guest of mine last year, around this time. I enjoyed our discussion so much that I decided to interview him again on some separate but related issues. Further and beyond! Before we begin, I have to say that I cannot speak on behalf of all Luciferians. I will, however, give my personal opinion as an individual who self-identifies as a Luciferian. – Jeremy Crow. From a Luciferian perspective, how would one go about defining the “Left Hand Path”? The famous mythologist Joseph Campbell defined the Right Hand Path as the path which involves staying within the institutions and norms of the culture or society you were raised in. He defined the Left Hand Path as the Journey of the Hero: one who for whatever reason becomes an outsider to their culture, goes on a quest and returns home to enrich their community with the rewards gained and lessons learned on their journey. I think this is a great starting point. The status-quo tends to be very good at “works of light” such as promoting love and compassion as well as placing a high value on service to the community. However, they are also frequently found actively discouraging exploration into the unknown and the taboo. This type of behaviour can be poetically referred to as a fear of the dark. Contrary to popular opinion the Left Hand Path is not the polar opposite of this. In fact, the LHP is more accurately referred to as the Complete Path, as it includes both the works of light and the courageous exploration of the darkness. What is your view(s) on Baphomet and how does this archetype relate to Luciferianism? It isn’t something that I have worked with extensively, but I think it could be used as a symbol of the Complete Harmonized Self. In other words, it combines all the parts of the self, even those that seem to be in opposition, and gets them all working together in harmony. All internal dualities have been transcended, both the Shadow and the Transpersonal Spirit have been integrated and a more focused and powerful being has emerged. Is there a “Left Hand” path view on the Apocalypse or Eschatology (The end of the world)? Is this anyway related to the concept of “Year Zero”? The mainstream Gregorian calendar divides our concept of time into the world before and after the birth of Jesus Christ. Hence we have B.C. to refer to the years “Before Christ” and A.D. or “Anno Domini” meaning “the year of our Lord” to indicate the years since Christ entered the world. The Age of Christ corresponds roughly to the esoteric concept of the Age of Pisces. We are currently in a transition out of the Age of Pisces and into the Age of Aquarius. A very simple sign of this shift is the modern usage of C.E. or “Common Era” to replace the reference to Christ in our standard method of counting time. In addition, a few years ago one could observe a popular obsession with the Mayan Long Count calendar, which described a much larger cycle of not just the transition between two Ages but the end of a full set of twelve zodiacal Ages. We can think of a zodiacal Age as a Macrocosmic or “Great” Month. The long count calendar describes an entire Great Year, and that Great Year was said to end on December 21st, 2012 C.E. A great many people predicted something catastrophic would happen on this date, up to and including the End of the World. I say that the End of the World actually did happen on that date and the New Luciferian Era (NLE) sprung up to take its place. It is the start of a brand new Great Year: An entire new set of Ages of a fundamentally different quality than those which preceded it. I like to call that moment when the NLE arose from the ashes of the End of the World as the start of Year Zero. As I am writing this, we are approaching the start of Year Two of the New Luciferian Era, or 2 NLE. In the wake of this new Aeonic current of cosmic energy the Luciferian movement has made a profound level of progress, and we’re just getting started! How does Jesus Christ fit into Luciferianism? Or can it all? It can be said that Jesus Christ was the prophet of the previous Age. Each of these Ages prepares us for the next. Jesus Christ is clearly a Right Hand Path figurehead, however if we are honest we can clearly see more than a glimmer of the Light Bearer archetype in him. This is especially true if we look at this mythological character through a Gnostic lens. Before the term Lucifer became synonymous with the character of Satan in the public mind, Jesus was often referred to as a Lucifer or Light Bearer. To borrow a parable, his message was a seed that fell mostly on hard soil hostile to the intended crop. His message has since been distorted and abused by many along the way. Christianity has become a powerful movement and isn’t likely to fade into oblivion anytime soon. If they can capture some of that original gnostic light bearer archetype, if they can learn to adapt with the changing times and if they can gain a tolerance for other religious beliefs, I can see a place for a reformed version of Christianity within the New Luciferian Era. 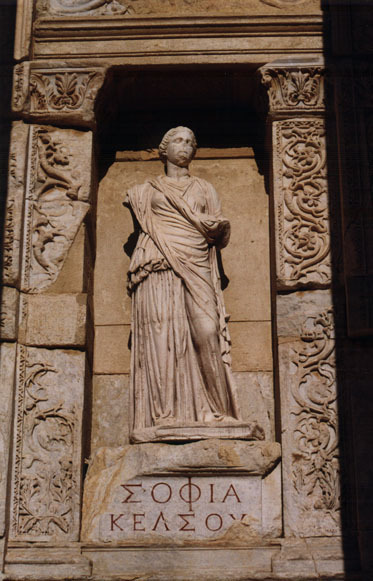 What is the Luciferian view on the “Divine Feminine” or what is often called “Sophia” in Platonic, Jewish and Gnostic literature? The original term Left Hand Path came from Hindu Tantra. In this practice, women would sit to the left of their male partner. This is one part of the meaning behind the term Left Hand Path. Personally, I see the modern Left Hand Path (or Complete Path, as stated earlier) includes a generous dose of recognition and even veneration of the divine feminine. Within Luciferianism specifically, we see that the term Lucifer is a term applied to the celestial phenomenon of the Morning Star. This is the last bright object in the sky before the rising of the Sun. In this sense it is the herald of the dawn or bringer of the light. This bringer of light is actually the planet we now call Venus, which has been considered a feminine force since the beginning of recorded time. We can even look to the myth of the serpent in Eden (who was clearly an example of the Light Bringer archetype) that tells us that a woman was the first initiate into forbidden knowledge. She then shares that knowledge. I usually use the feminine pronoun when referring to Lucifer as an entity or character. I feel that the divine feminine is very important in Luciferianism. Can you explain the significance of the Ziggurat of Enki? An ancient myth speaks of the Babylonian people building a Tower to reach the heavens and attain equality with the gods. There were indeed towering structures built by the ancient Mesopotamian people. These structures were a type of stepped pyramid called a Ziggurat. 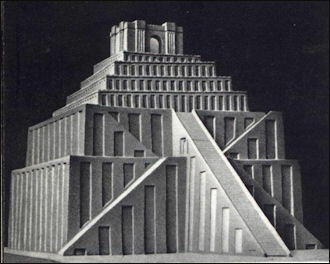 The building of a Ziggurat can be seen as an analogy for both the establishment of a powerful legacy and on a more subtle level, for the emergence of an immortal Body of Light. The Ziggurat of Enki is an esoteric Order for the New Luciferian Era that embraces the Complete Path. Its rituals are based on the myths of Mesopotamia. Enki is the Sumerian name for a promethean character who in myth was the god of magick and both the creator of humanity and later through the divulging of forbidden knowledge also became its saviour. 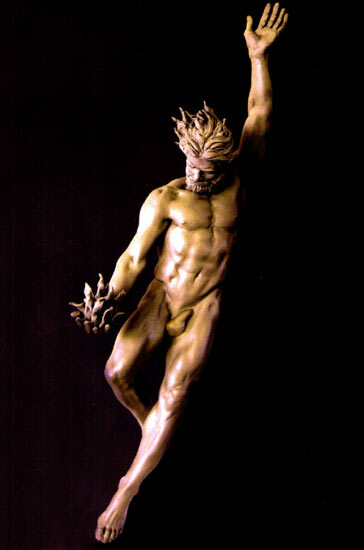 This god was also known to the Babylonian people as Ea. Since the ZoE is a Magickal Lodge, its symbolic patron and archetypal inspiration is naturally Enki. The Zigurat of Enki takes a novel approach to working a Magickal Lodge system. Much of the concepts are drawn from the Open Source movement. There are no oaths of secrecy regarding the ceremonies, to the point where non-initiates can even be present during an initiation if all the primary participants are comfortable with that. When potential members are permitted to read (or observe) an initiation ceremony before becoming an initiate, everybody knows exactly what they are getting themselves into. A heightened state is achieved in ways that do not require the element of surprise. Another break with tradition is that there is no requirement for a Charter in order to start a lodge. Anyone who has managed to obtain a copy of the ritual, one way or another, can choose to utilize that ritual without asking anyone else for permission. This allows an incredible level of flexibility and freedom. If you want to open a secret lodge of the Ziggurat of Enki, you can do so without anyone but the individuals directly involved knowing. You can also open a temporary lodge that will only operate for one night and never again if you so choose. This type of independent and autonomous lodge system offers great potential to anyone creative enough to experiment with it. Currently the best and most complete information about the Ziggurat of Enki is available in my book “Initiation into the Left Hand Path.” The limited advance edition is currently available on my website JeremyCrow.com. Each of the only 45 copies are signed and numbered. Most have already been sold but there are still a handful of copies available. What is the Greater Church of Lucifer? 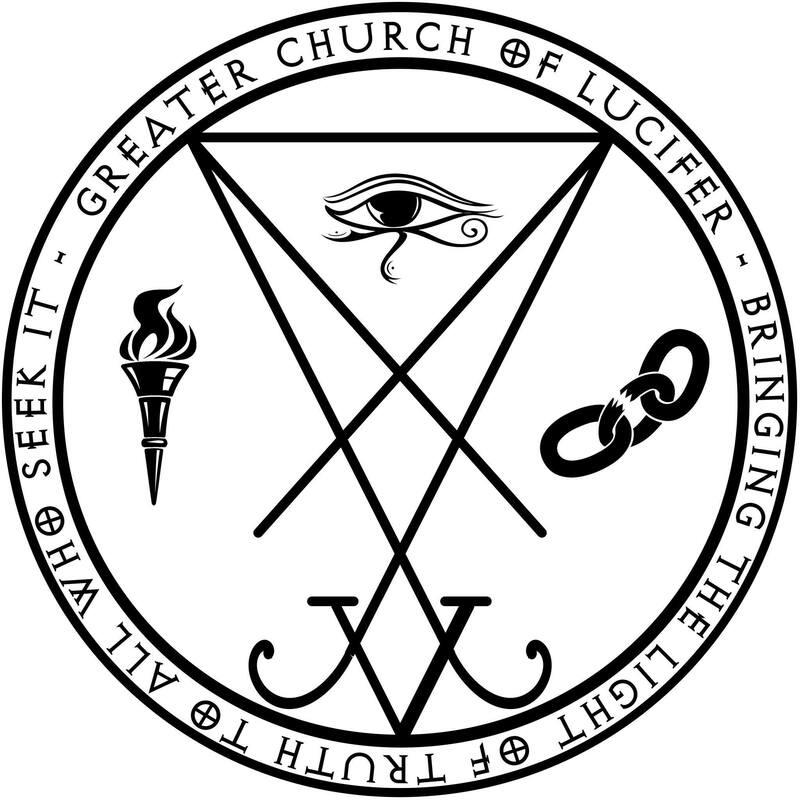 The Greater Church of Lucifer is an organization founded by Jacob No. Other leaders of the Church include Michael W. Ford, Etu Malku and me. The word Church is being used to indicate a gathering or community based around a shared set of similar beliefs and philosophies. We all have our own way to describe this particular set of philosophies such as Adversarial Thought, Mercurial Consciousness, Left Hand Path or my personal favorite, The Complete Path. The word Lucifer, meaning Bringer of Light, is used to indicate that our philosophy includes the goal of making knowledge available to others who seek it. While rational self-interest is viewed as important, this is not a path of pure selfishness. We seek to leave the world a better place than we found it through our individual and collective actions. That being said, we do not focus exclusively on works of Light. It is also valuable to explore, understand and integrate the contents of the Shadow. We do not shun the Darkness for we understand that it is a very real part of ourselves. To shun it would not eliminate it but only repress it, where its contents will continue to grow twisted in the dark, subtly (or not so subtly) influencing our decisions. We can liberate a lot of mental and emotional energy by unraveling past traumas, addressing them with self-compassion and allowing them healthy expression and respect as a valid part of the complete self. 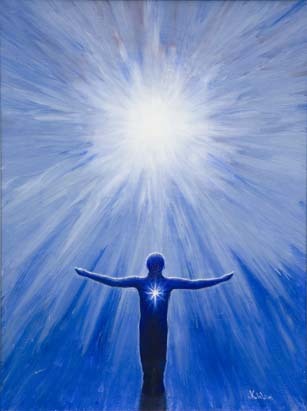 Again, all of this works toward establishing a Complete Harmonized Self. This balance of focus on both Light and Darkness is a large part of the New Luciferian Era, which the Greater Church of Lucifer fully embraces. The planet Venus is not only the Morning Star or “Bringer of Light” but is also the celestial body which produces the phenomenon of the Evening Star or “Bringer of Night.” They are like two sides to the same coin and we should strive to work with both these complementary forces towards the goal of elevating the human species through the empowerment of individuals. The Greater Church of Lucifer is very much about community and education. While many of the members may be interested or involved in the occult, this is not the primary focus of the GCoL. Instead we first want to explore the philosophy and lifestyle of those who choose to take up the banner of Luciferianism. We have some very ambitious plans, including the establishment of brick and mortar locations for local meetings, starting in the areas with the most members and spreading out from there as we are able. We are also working on educational programs, campaigns to provide food for the hungry and even assistance with addiction related issues. To find out how you can get involved please check out GreaterChurchOfLucifer.org.